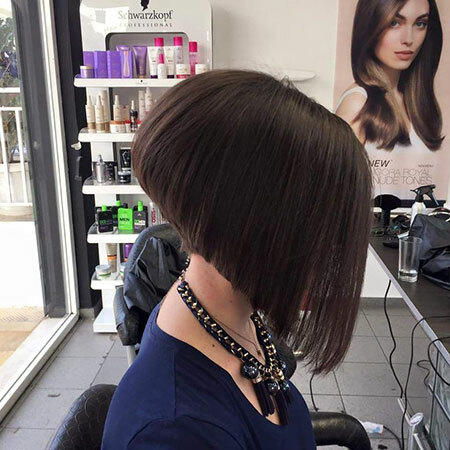 Trendy and stylish women always prefer wearing stacked bob hairstyles. It’s because it is so impressive and beautiful that all people start gazing at you. 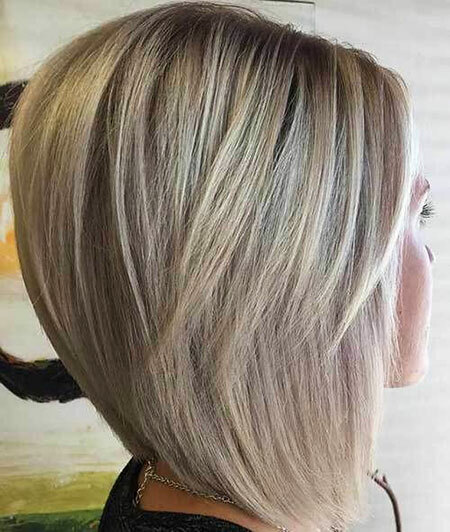 Medium bob hairstyles are classy and sassy, so if you have decided to try them then you will never regret. 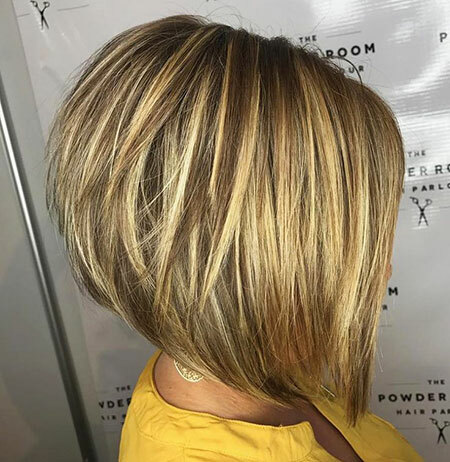 Medium bob cuts are for those who are afraid of going very short, but they want to make their hair a little bit shorter. 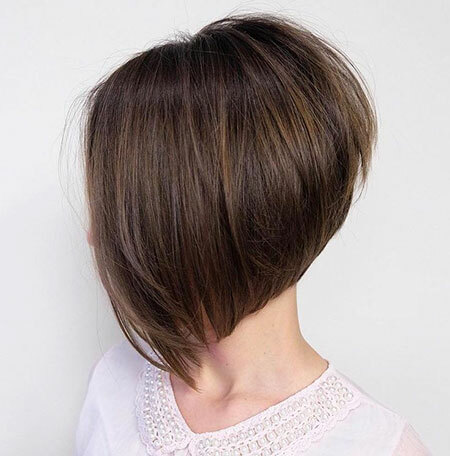 So we have collected some Medium Stacked Bob Hairstyles that look different based on the cut and the way of styling. 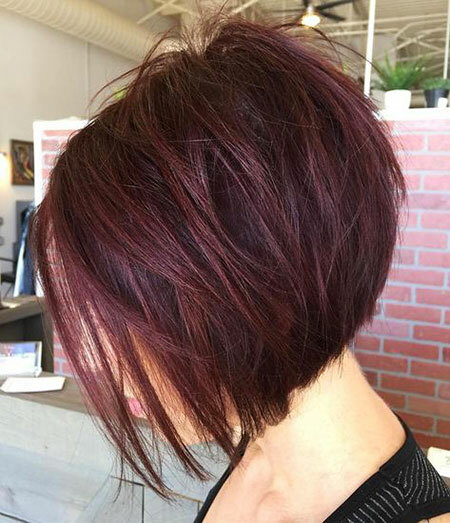 When you cut your hair bob you will see that there are countless ways to style it. 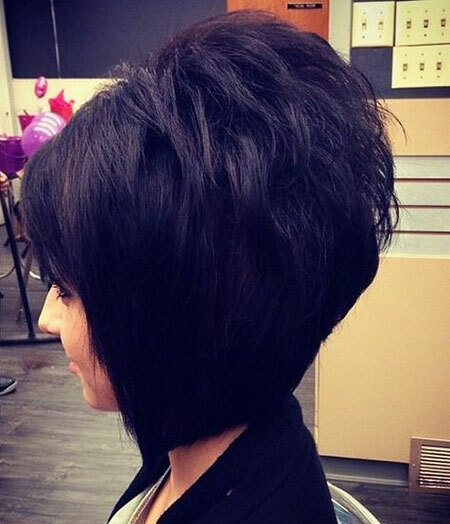 The diversity and convenience that medium stacked bob offers you are really amazing. 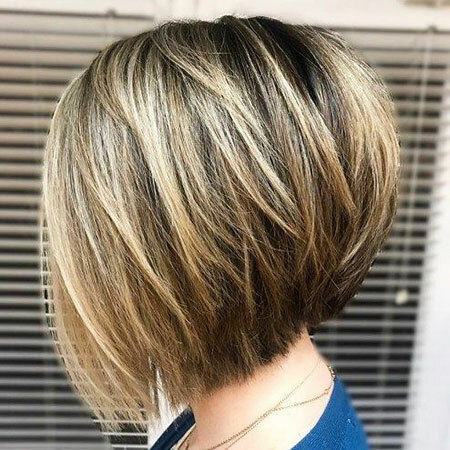 The most important and best part of stacked bob cuts is that it requires low maintenance and a few steps will be enough to create a stunning look. You can try asymmetrical and symmetrical, shaggy and sleek, wavy and straight styles and rock this summer. 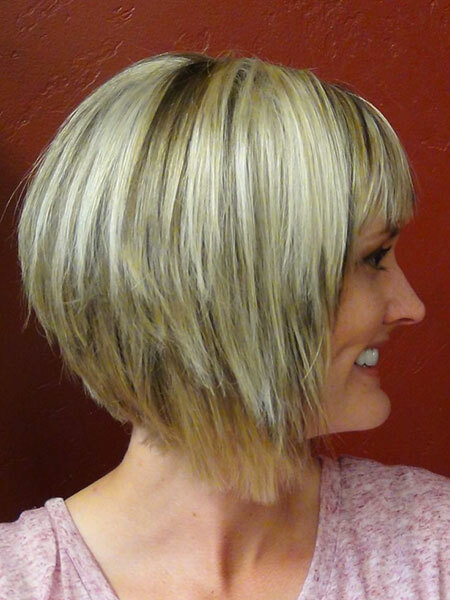 We offer you to try textured medium bob cut as this will give you a fresh look. 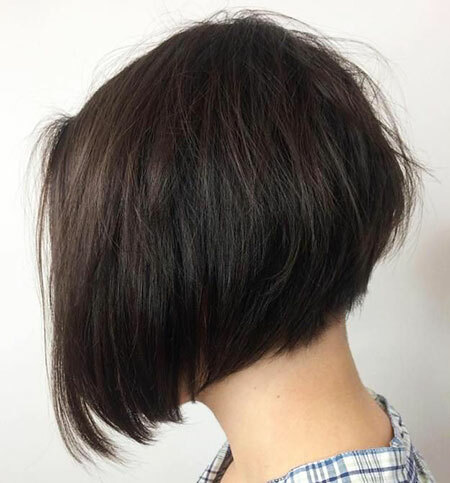 Textured choppy bob with front pieces will make you look younger no matter your age. 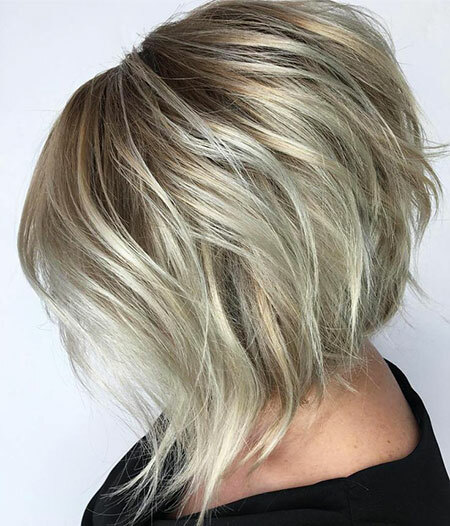 Another way to style your stacked bob is adding layers. 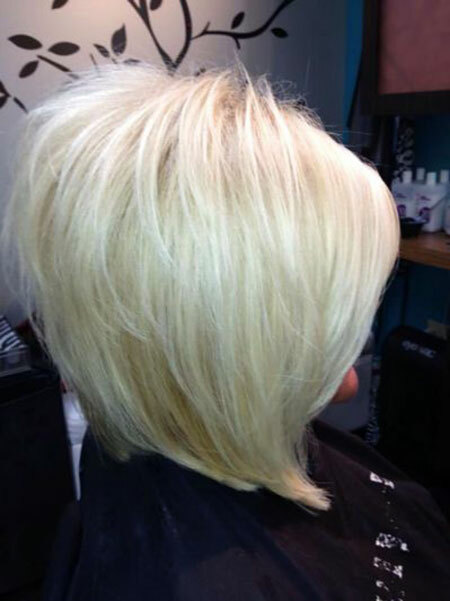 Layers give a great volume and make your hair look thicker. Layers don’t need any maintenance, you can leave them either straight or wavy and they will look edgy. You can also try V-cut layers to enhance the dimension of your look. 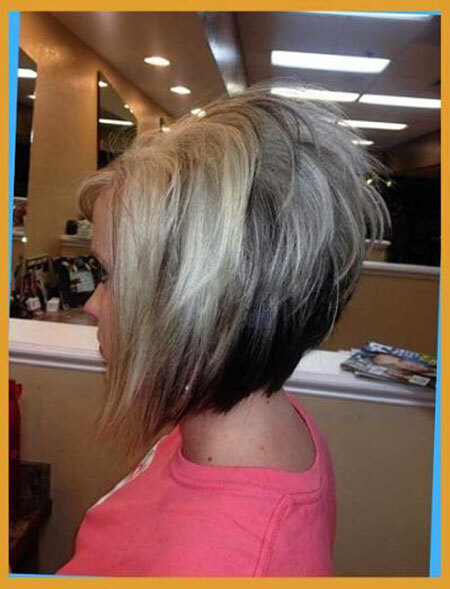 If you love to have a trendy look then you can go for messy layers with a stacked back. Add bronde color to your messy layers and you are good to go. The tapered silhouette will work best if you have fine hair. You can also add some color to your hair and have a lovely and feminine look. 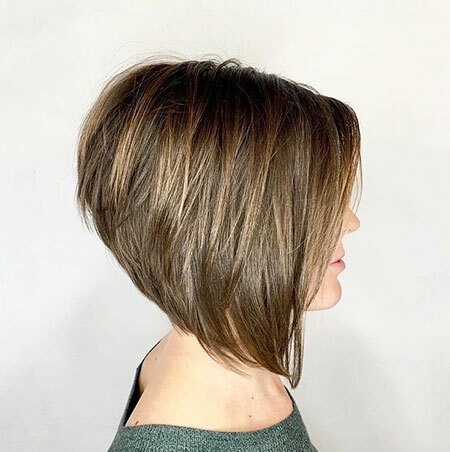 If stacked bob hairstyle is what you want but you also want to make your hair lightweight, then we offer you to try nape undercut. This is the best way to thin out your hair. 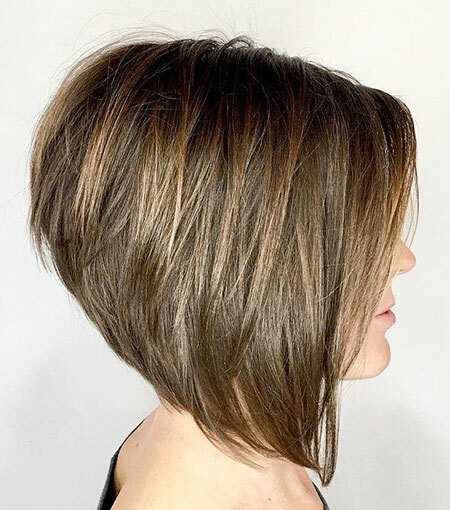 You just hide it under the top layer of your hair without losing the illusion of stacked bob cut. 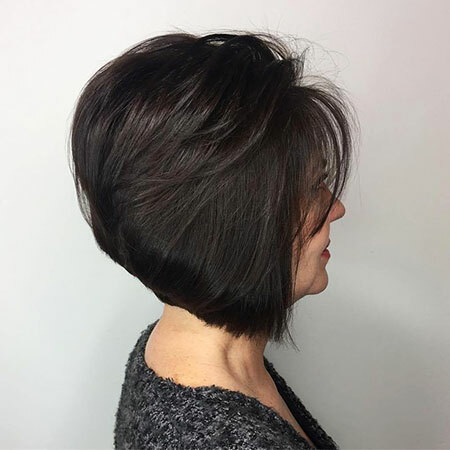 Tousled stacked bob is also very nice when you combine it with long front pieces. This will give you a pretty look and a very beautiful style. 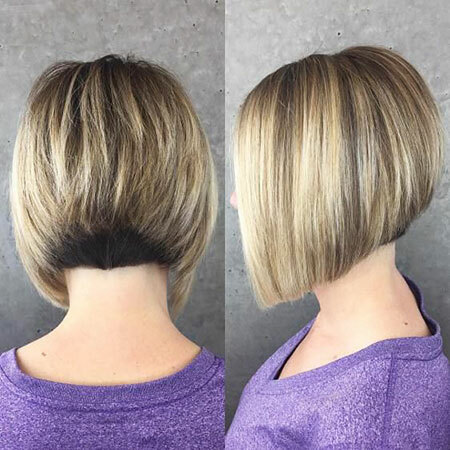 It’s really amazing how easily you can style your medium bob haircut. 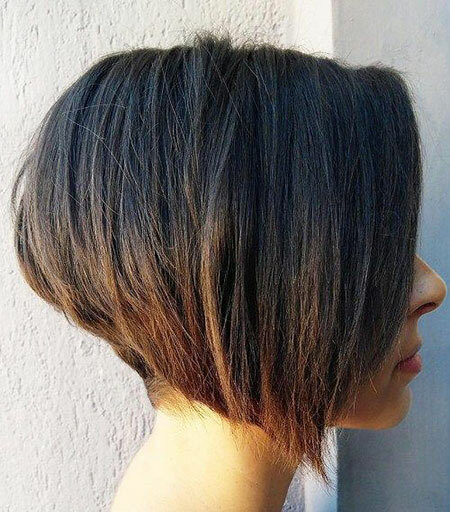 The beauty of medium bob hairstyles is really incredible and we offer you exciting ways. 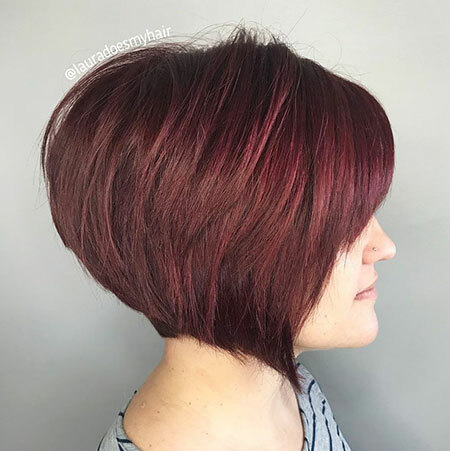 Now you just need to check our gallery of Stacked Bob Hairstyles and change your look for this season. Just explore and pick the most attractive versions to try!